Armelle Bouchet O'Neill is a French-born, Seattle-based glass artist. Bouchet O'Neill studied at The Danish Design School on the island of Bornholm, Denmark. 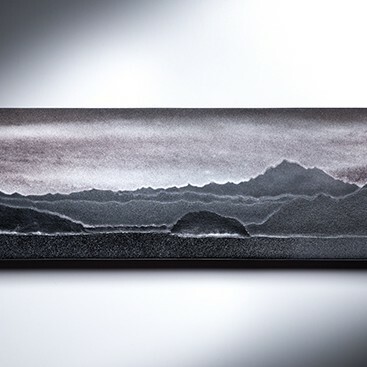 She was awarded the Lino Tagliapietra Award to attend the Pilchuck Glass School in 2007 and the Takako Sano Grant from the Glass Art Society in 2008. In 2010 Armelle was the recipients of Pratt Fine Art Center, Art Bridge Fellowship and subsequently the Jon and Mary Shirley Award. 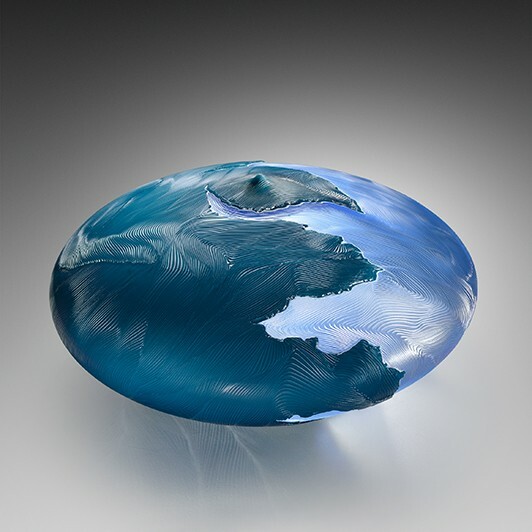 Most recently, Bouchet O’Neill was invited for a resident artist at the museum of glass. 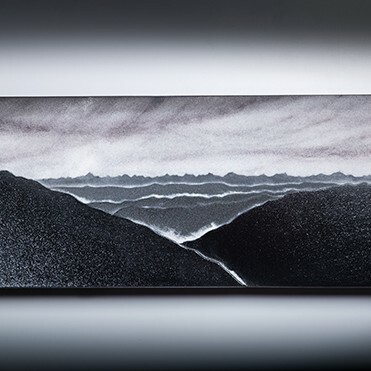 The inspiration for her recent work stems from the exploration of topography, the science that describes a landscape on a two dimensional surface and the idea that each place is unique much like a fingerprint. Armelle uses glass as a vehicle for this exploration, by exploiting its intrinsic optical properties as well as its potential for myriad textures, her work draws from the natural world. What impression does our natural habitat have on us as individuals? Each habitat and place is shared—whether for a part of their lives or forever—by a community of individuals, and contributes to one’s identity and culture. Inspiration for these new works is derived from rich and wild landscapes that I have experienced throughout my journey. 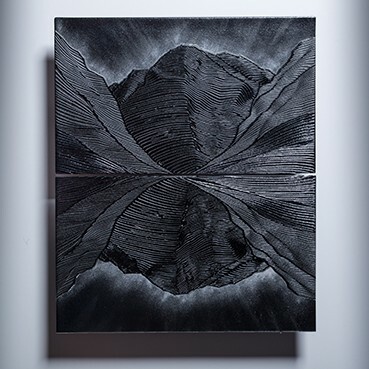 These works explore topography, the science that describes the surface of a place’s unique landscape and the idea that each place is unique, much like a fingerprint. Each piece is executed by masking a series of lines and deeply carving the space between. A curve evolves, repeats itself and grows organically, alluding to the rugged yet intricate formation of terrain. Amorphous lines emerge to create light and take form much like the creation of a topographical landscape. The work aims to be my ode to the beauty and the diversity of our surroundings.